The Summer Holidays are almost upon us and the promise of long hot summer days. There are only 4 School days left until the holidays; thank goodness it is almost here. The boys are looking worn out and I am so looking forward to chilled out days. Days where we can nip to the ice cream shop. We are lucky to have a little ice cream shop at the end of our lane. Our little local shop is a dream come true for kids, and has excellent bribe power for me. I know I can get Joe out for a walk with the promise of an ice cream at the end. I have also been busy preparing for those long hot summers days. The days when we plan to do nothing in particular, but maybe invite a friend to visit. Most definitely sit in the garden soaking up that vitamin D, which the news is telling us we most desperately need. The perfect reason to down tools and chill when the sun is out. That is what they are telling us, so that is exactly what I will do. 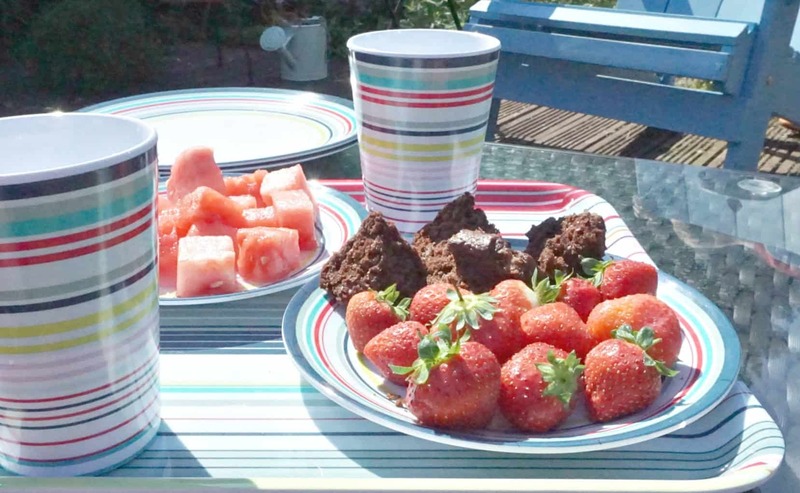 In my mission to be a prepared and chilled Mum all summer long I had a little shop at Debenhams and stocked up on garden-ware, plates, cup and mason jars and I could not resist the coordinating tray. Mostly in the endeavor to save my beloved Denby dinner set. I lost several pieces last summer to garden accidents. This year I am ready, and will not hyperventilate when the boys take a bowl of fruit into the garden, these babies are shatter proof. 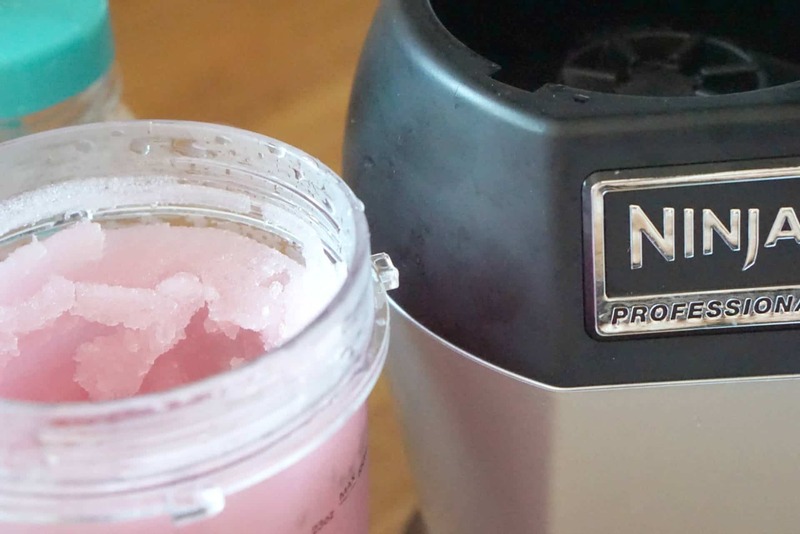 The other thing that has made me qualify for best mum ever status is our new Nutri Ninja. I was slush mad when I was a child. In fact who am I kidding I still am, although now of the cocktail variety. 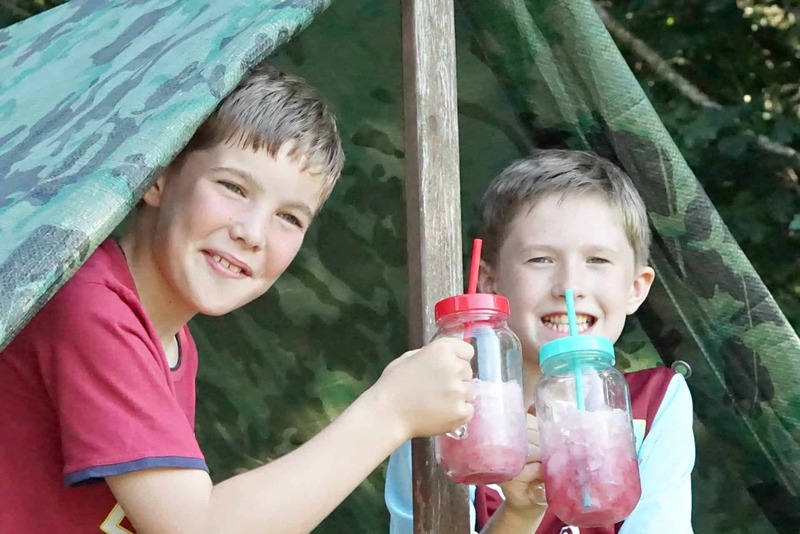 When I was little slushes meant summer and holidays, and the boys are the same. 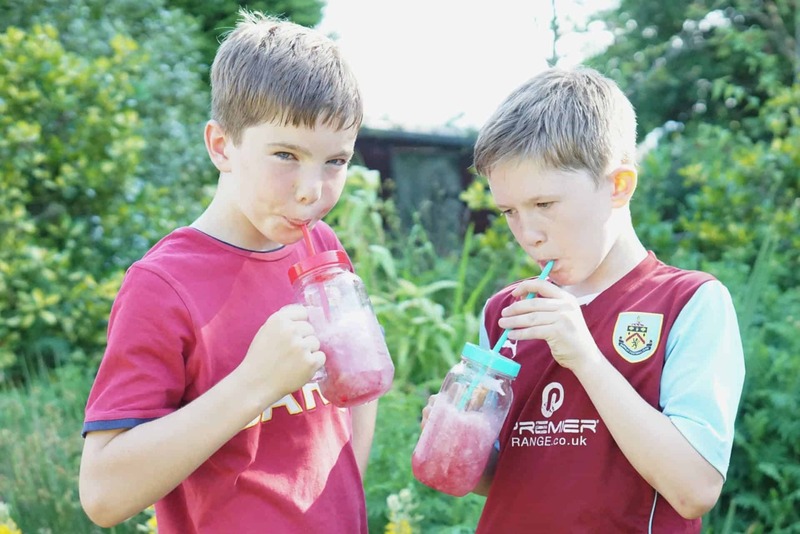 So yes, whilst the Nutri Ninja is perfect for smoothies packed with lots of fruit, and something the boys love. It is also my summer secret weapon. 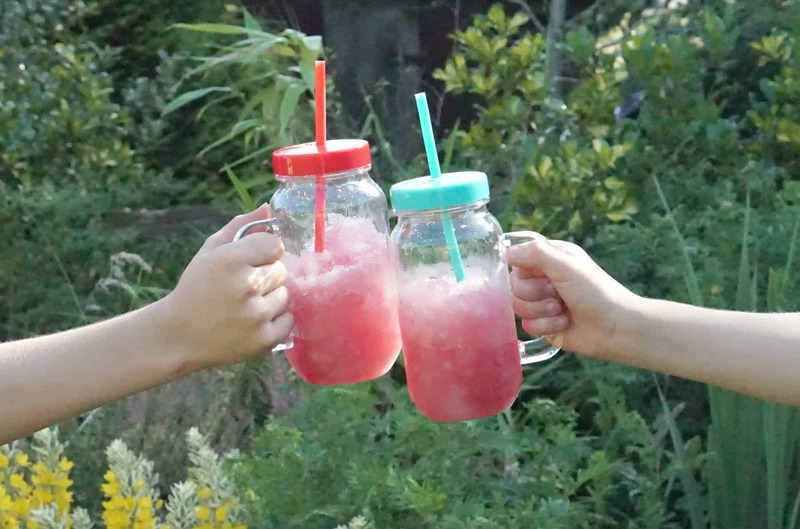 It is the perfect way to keep them hydrated in this scorching wonderful weather. 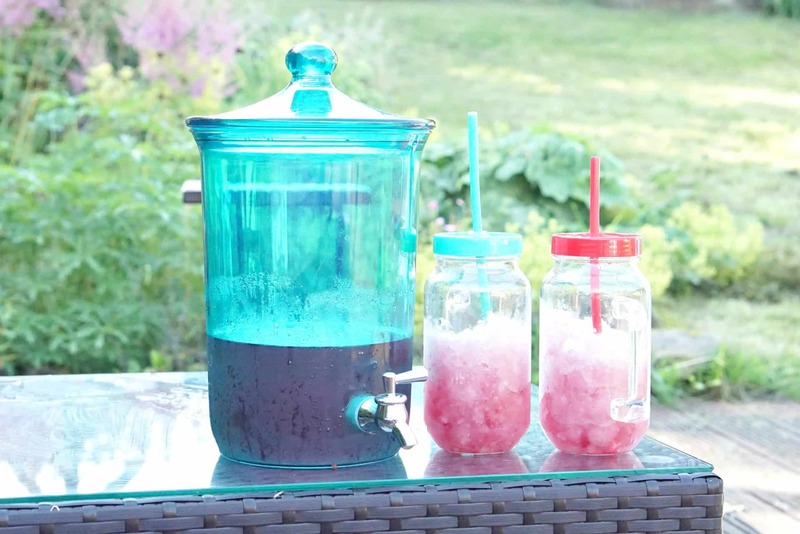 Teamed with our new drinks dispenser whenever the juice gets low they can top up and keep the slush going for ages. 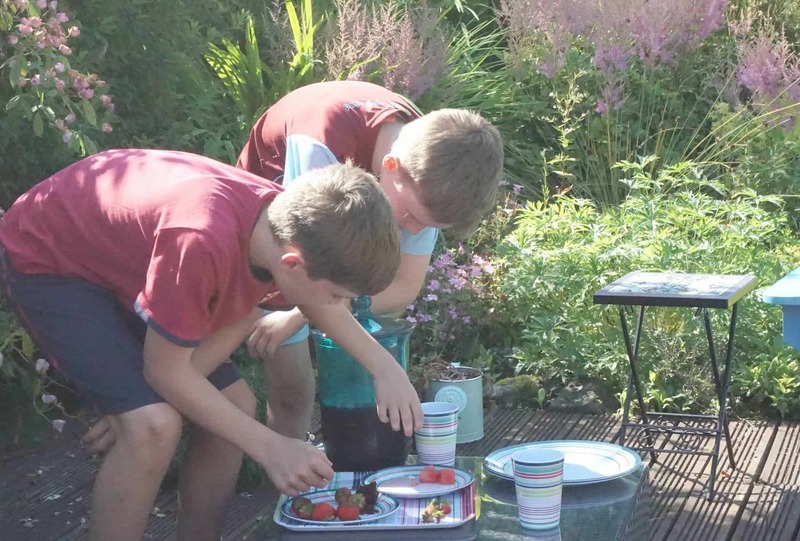 Just last week Joe and his bestie Fin came home after school and just as they do, got changed and headed straight for the garden. 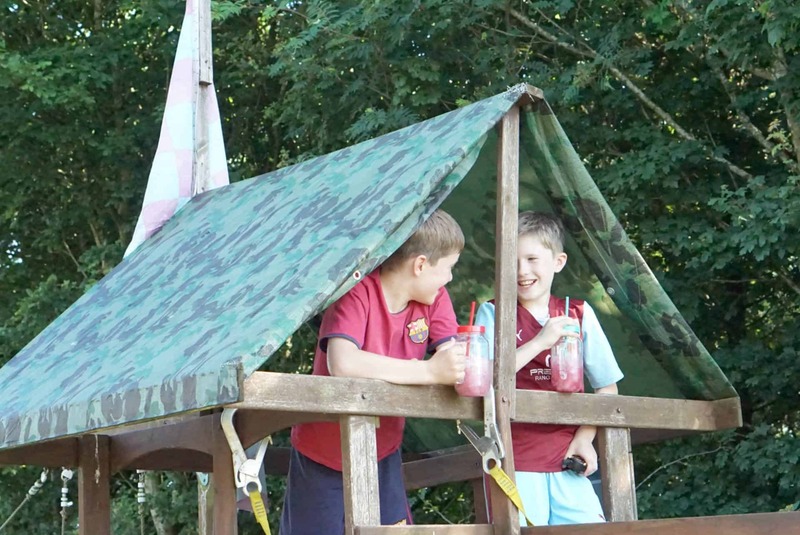 They spend hours out there, playing football, climbing and putting the world to rights. It was funny, I asked if I could take a few photos as they enjoyed their snack and they were so busy gossiping they totally forgot I was there. Like too little old men they discussed football and other world issues. They have been friends since they were 6 months old, they probably can’t remember not having each other in their lives. Yet still they find so much to talk about, it makes me smile so much. 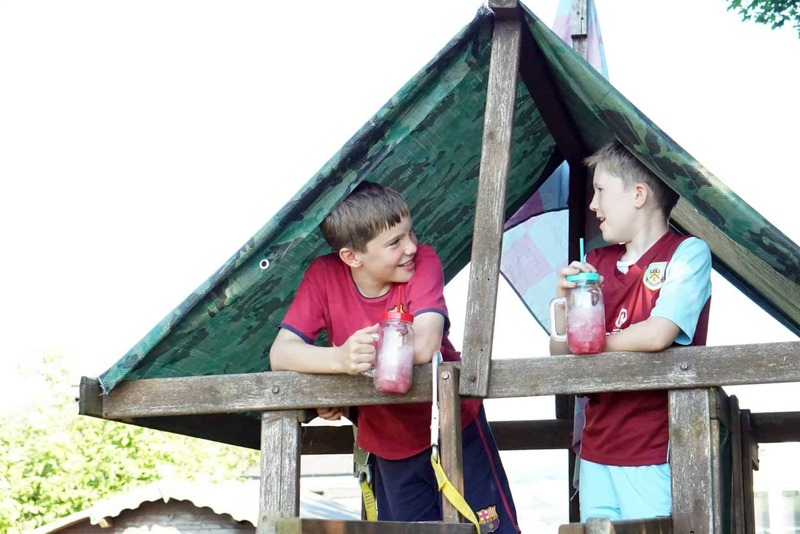 All I hope now is that we have that gorgeous hot summer we are all dreaming off, and the boys get to make memories of long hot days, eating slush and playing in the garden just like I did. Oh and the odd walk to the ice cream shop, it would be rude not too.